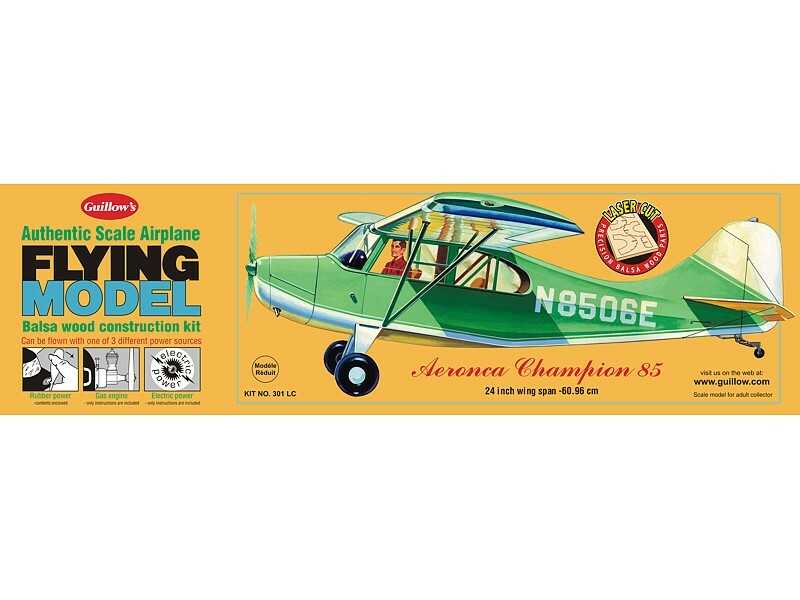 Although the original manufacturer of the Aeronca Champion sold their business, their successor the Champion Aircraft Corp. produced many of this widely known personal airplane. 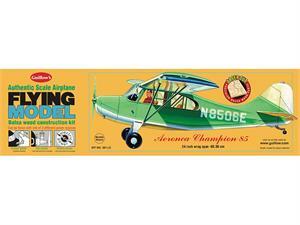 Aeronca’s have been a common site on American airports for many years and rival the Piper Cub’s for popularity. Guillow’s scale model of the Champion 85 is designed to faithfully duplicate the many fine characteristics of this flyer.